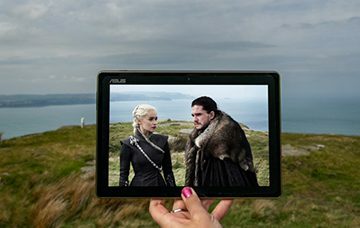 This Cardiff Filming Locations Guide will help you find the best and most exciting places to visit in the capital of Wales. 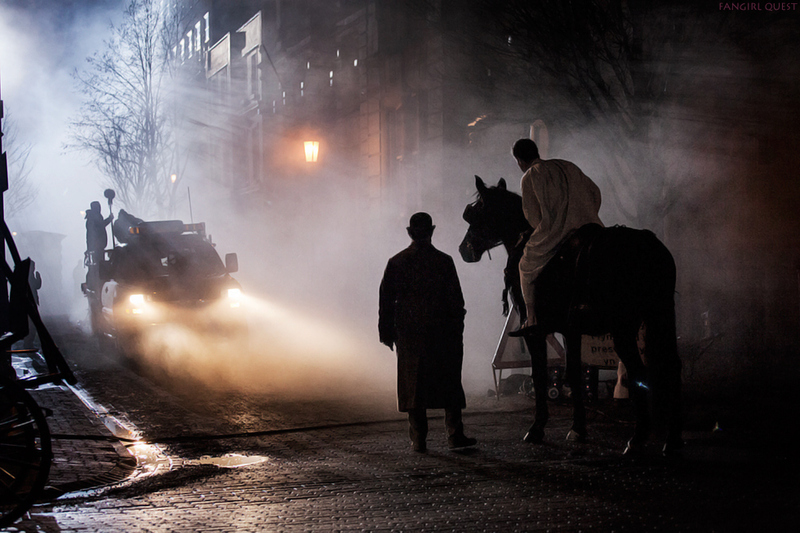 To us, the most important ones filmed in the heart of the city are Sherlock, Doctor Who and Torchwood, but we’ll include a few other favorites filmed just outside or nearby the city as well, such as Da Vinci’s Demons, Harry Potter and The Hollow Crown. 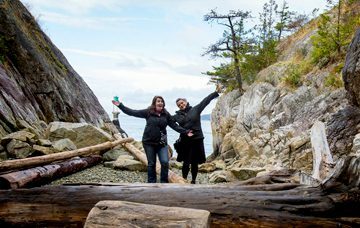 Some of them may be a day trip away, but definitely worth the drive! 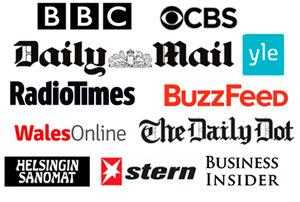 You’ll find all the locations listed here on the Google Map at the bottom of the page, or you can open the map in full size in a new tab by clicking here. 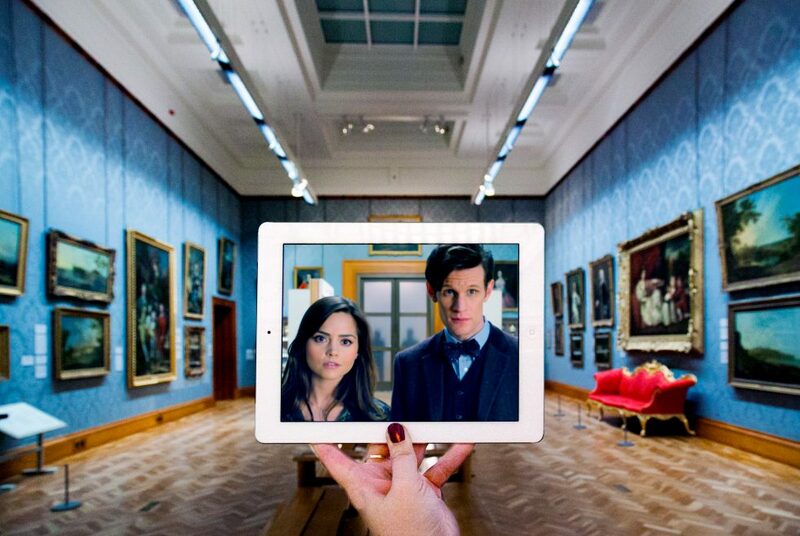 What’s here: The National Museum is one of the most visit worthy Cardiff filming locations and has been used in several Doctor Who and Sherlock scenes. 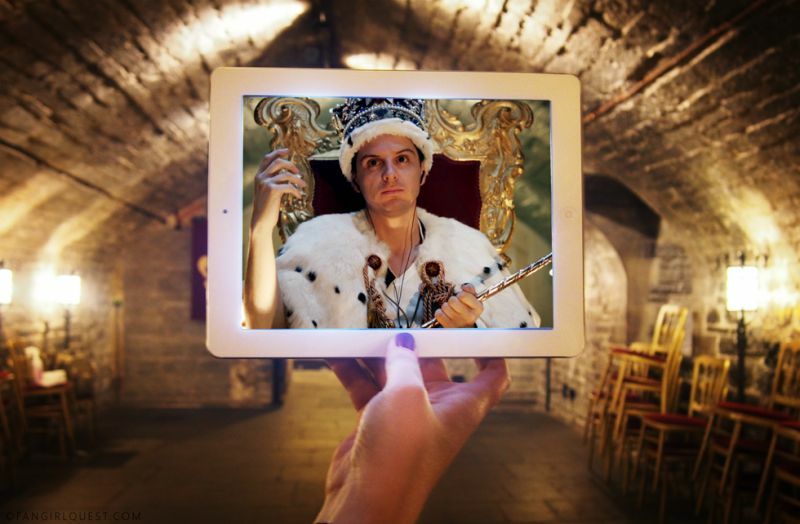 What’s here: Remember that scene where Moriarty steals the crown jewels in London? Well, it wasn’t London. It was Cardiff Castle! What’s here: A big scene with the Doctor and Cybermen was filmed here. 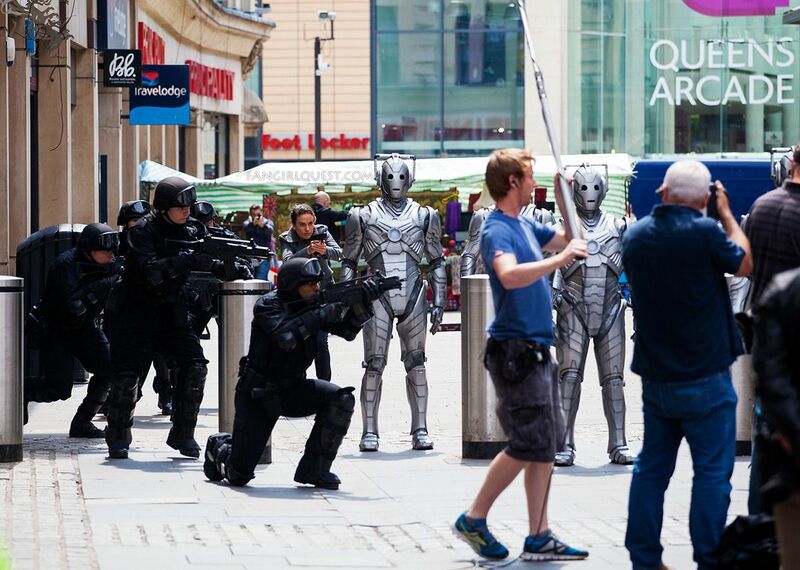 Out of all the Cardiff filming locations, this must be one of the most public ones: the street was packed with fans during filming and Capaldi actually took some time out from his work to meet and greet everyone and to sign photos and pose for selfies. A fun day out! 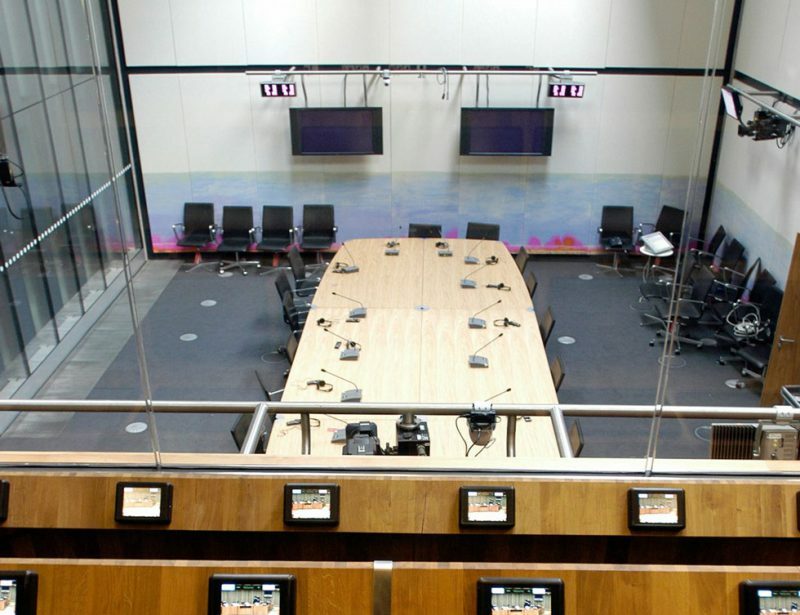 What’s here: One of the more modest and well hidden Cardiff filming locations. While not much to look at on its own, this alleyway right next to the Millennium Stadium is where the Torchwood crew faces Abaddon in “End of Days”. The buildings seen on Torchwood (on the left in the image) have been demolished, so the location now looks quite different from the show’s days. What’s here: Filming location for Sherlock season 3 featuring a discussion between Sherlock Holmes and Charles Augustus Magnussen. A good spot for some delicious Italian food and local celebrity sightings! 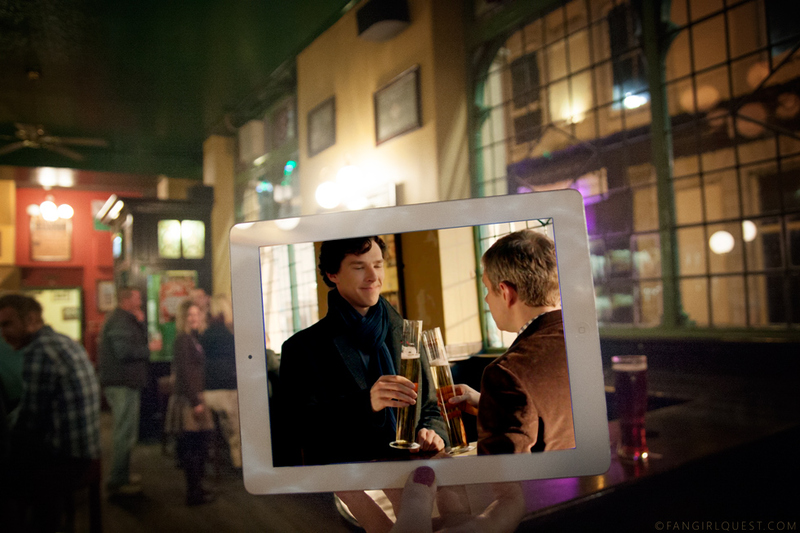 Useful information: This is where John and Sherlock started their bachelor party binge. Sadly, Kitty Flynn’s pub was closed quite soon after filming. It’s now called The Cambrian Tap, which serves craft beers. 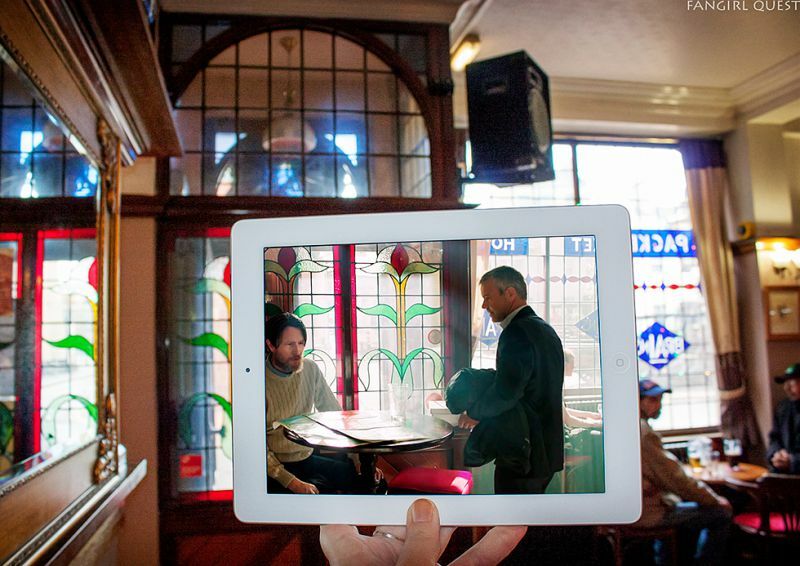 The interior’s changed since filming, but obviously you can still pop in for a pint of great craft beer! 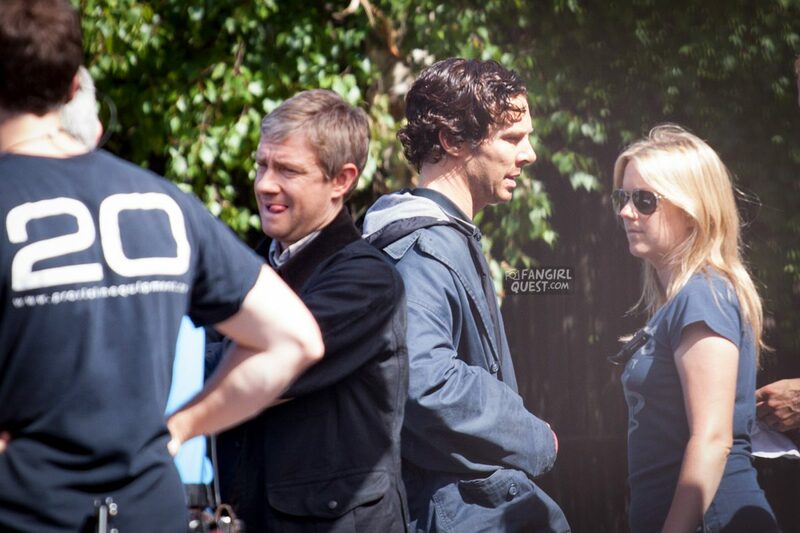 What’s here: John goes to retrieve Sherlock from the drug den in season 3 and they argue in the parking lot. Just a regular parking lot, usually full of cars during weekdays and daytime. Easy to visit. Is This The Best Sherlock Cosplay Of All Times? 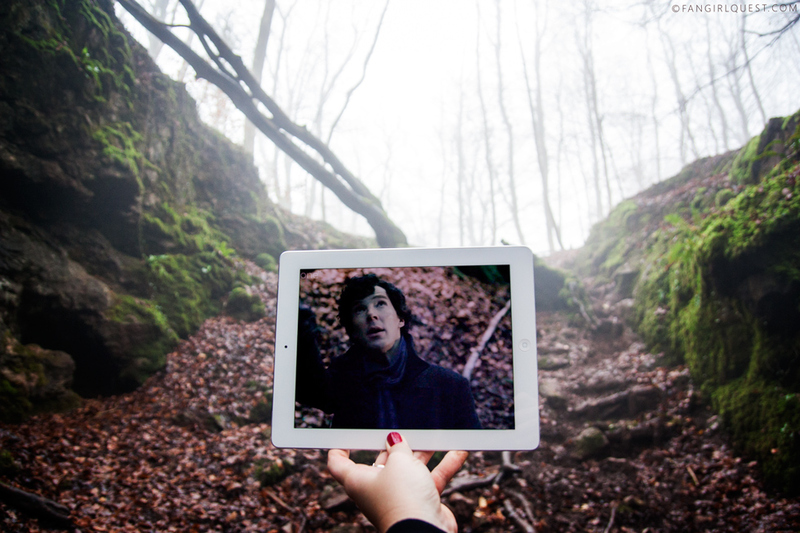 What’s here: Filming location for Sherlock minisode “Many Happy Returns”. A busy street corner with a couple of small shops, post office and HSBC. What’s here: One of the Cardiff filming locations where you can actually sit down and enjoy the pint just like the characters in a show! 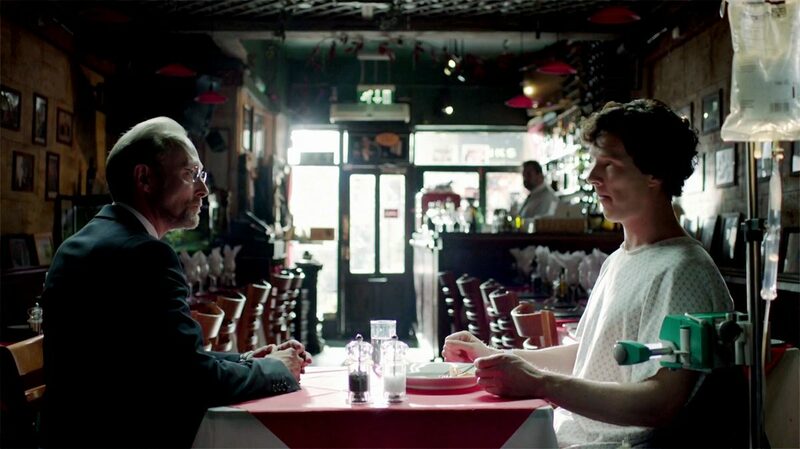 The scene featuring a conversation between Anderson and Lestrade in Sherlock minisode “Many Happy Returns” that takes place in a pub. 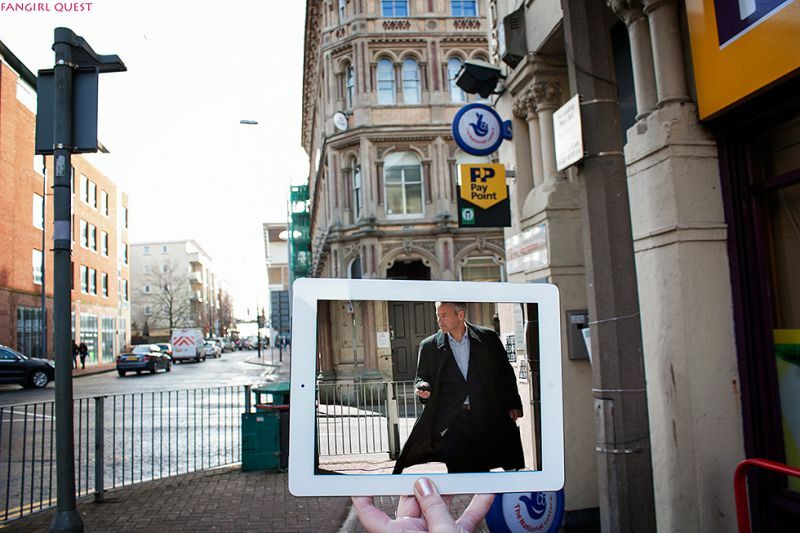 What’s here: Many Doctor Who and a few Sherlock scenes were filmed in this area, plus on Mount Stuart Square you’ll find the Coal Exchange, a beautiful victorian building. It was closed down in 2013 and was in danger of getting demolished, but after an active campaign by locals the building was saved and finally transformed into a luxury hotel. 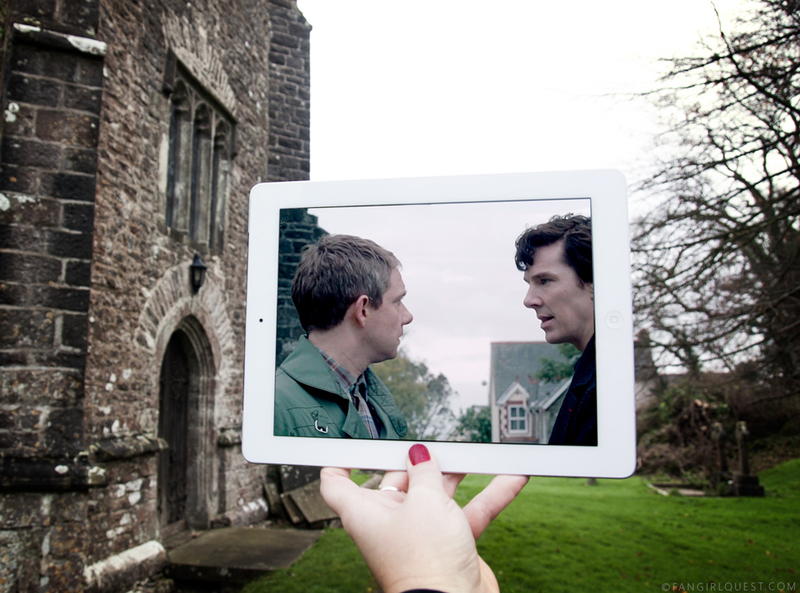 What’s here: Filming location for Sherlock season 3 featuring Mycroft Holmes and Charles Augustus Magnussen. You can visit the building and enjoy a cup of coffee while admiring some stunning architecture and a great view. Note: you’ll have to go through a security check, much like at the airports. 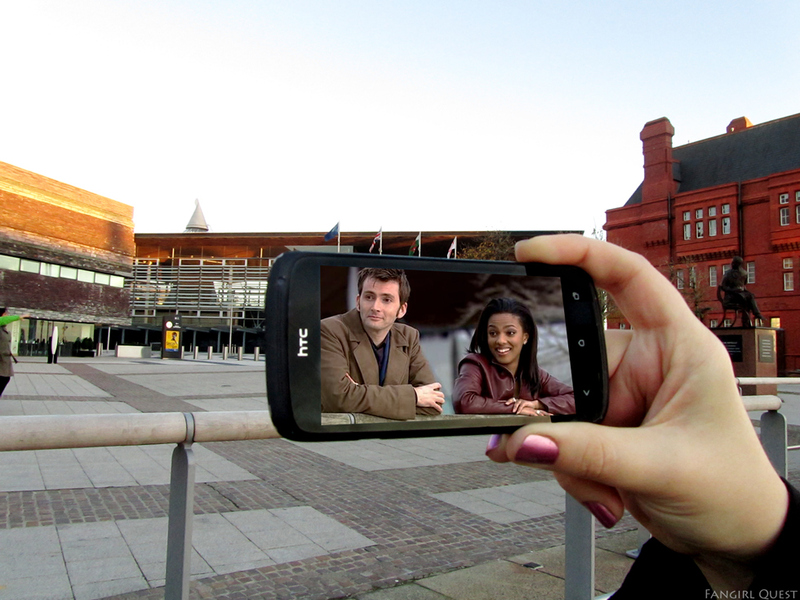 What’s here: One of the most famous and popular Cardiff filming locations: Roald Dahl Plass is located right next to the Millennium Centre, surrounded by pubs, restaurants and very close to the Doctor Who Experience (which, sadly, has now left Cardiff!). 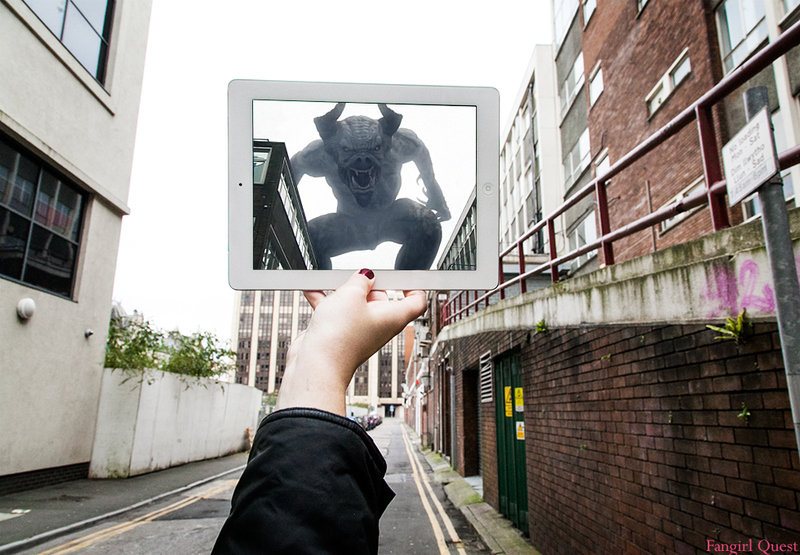 It’s the location of the Cardiff Rift and the secret entrance to the Torchwood HQ. 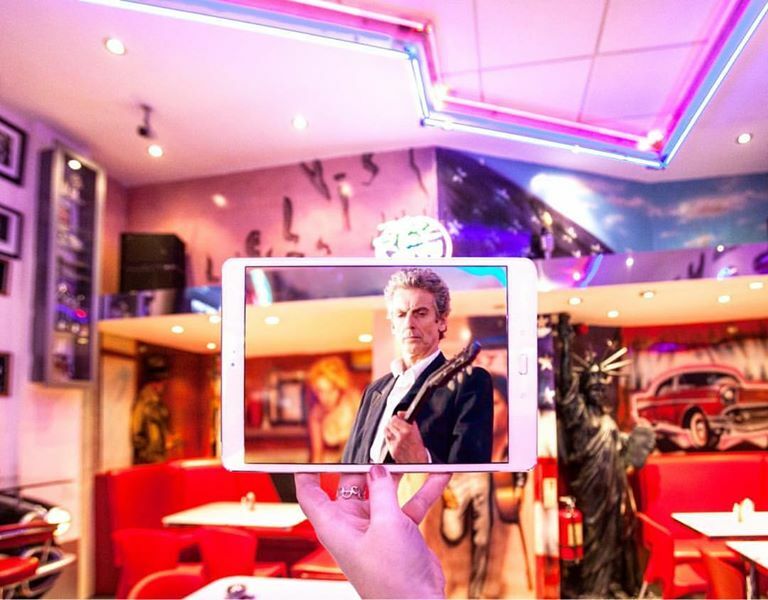 What’s here: An American Diner used in a couple of Doctor Who episodes featuring many, many cast members and two different Doctors (Matt Smith & Peter Capaldi). Do stay for delicious hot dogs and burgers! What’s here: This used to be the more public entrance to the Torchwood headquarters. 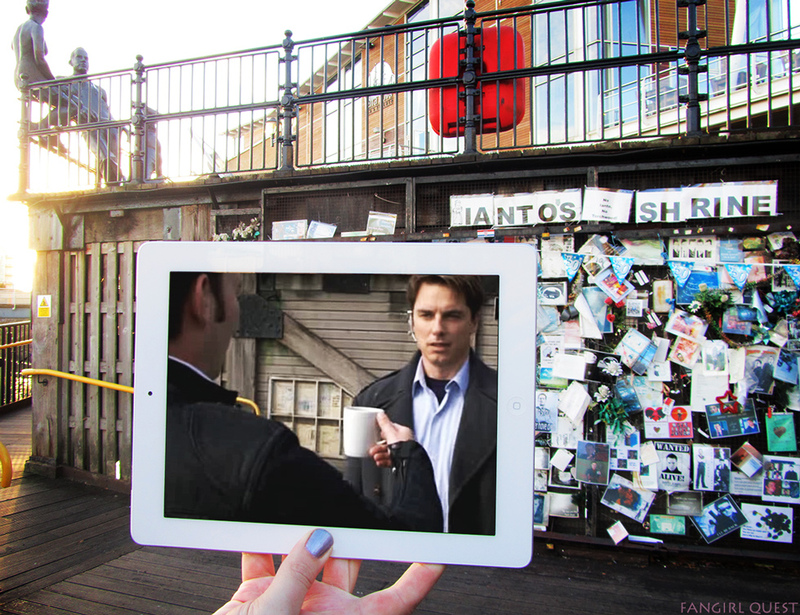 After Ianto Jones left the show, the fans put up an impressive shrine on the wall. After the Cardiff council realized it’s not going away, they practically gave it an official recognition and it’s still being kept up by active, loving fans. And that’s pretty amazing. What’s here: A beautiful castle standing above the village of Tongwynlais. Open for visitors. 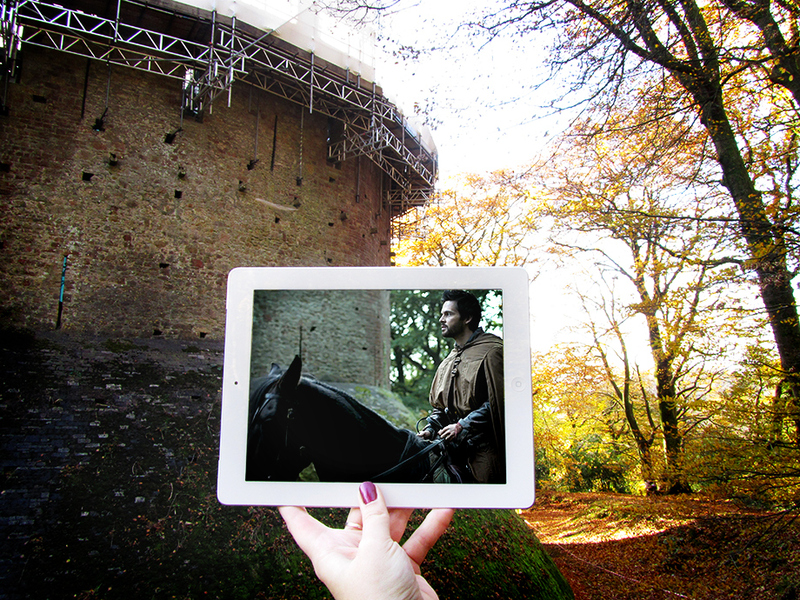 The castle itself is an interesting one to visit and the surrounding Fforest Fawr also serves as a filming location for many productions. You can easily combine a visit to Castell Coch to a little peek at the Three Bears Cave. 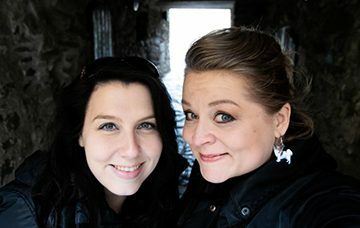 Blog posts and more: Castell Coch website ! What’s here: Near Castle Coch, in Fforest Fawr near Tongwynlais, Wales, these caves deep in a hole in the ground often serve as a filming location for any spooky cave scene that takes place in a forest. 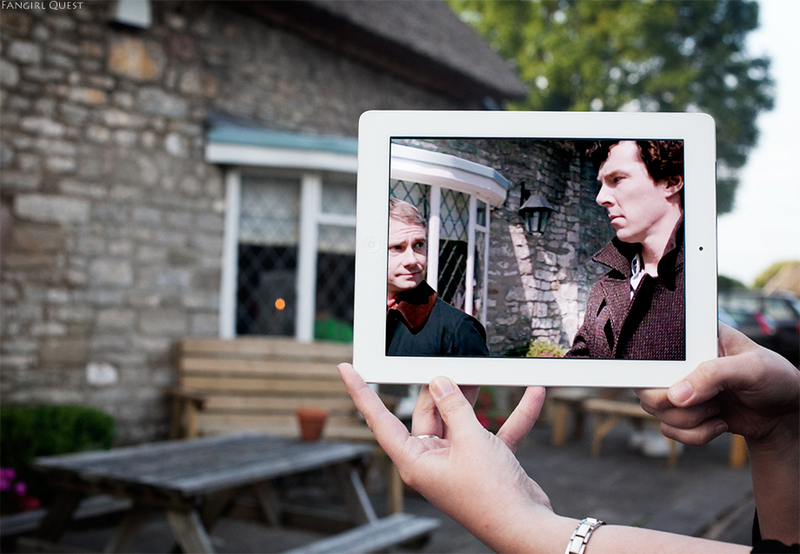 What’s here: This lovely restaurant in St. Hilary was re-named as The Cross Keys Pub in Sherlock season 1. 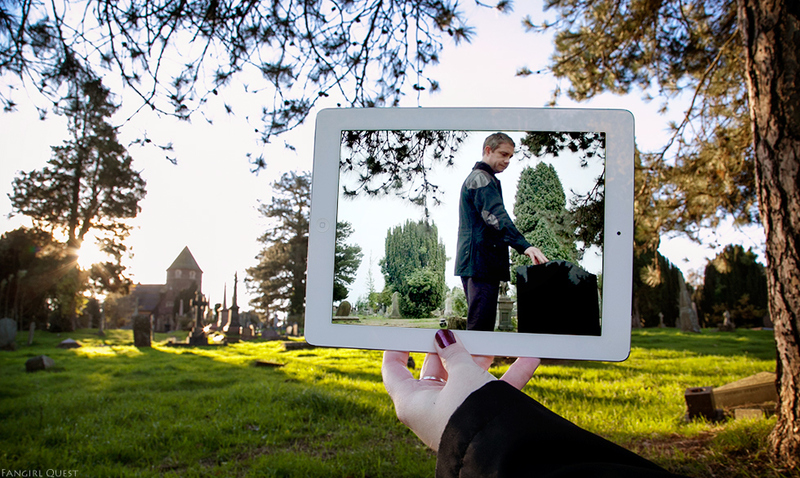 What’s here: After their little fight Sherlock and John walk outside and chat on this church yard. The church is located right next to Bush Inn, so you can visit both locations quite easily! What’s here: A huge, stunning castle in the middle of the town of Caerphilly. Well worth a visit, easy to get to by car or train from Cardiff city centre. The castle is open for visitors and since it’s located right in the center of town, there are many lovely places to go for food & shopping just outside of the castle. What’s here: A stunning public beach in the village of Southerndown. 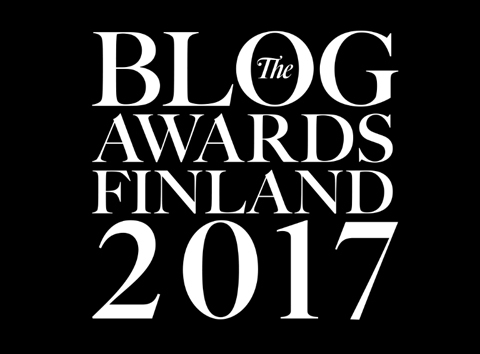 If you’re looking for Doctor Who related heartbreak, this is the place to go. 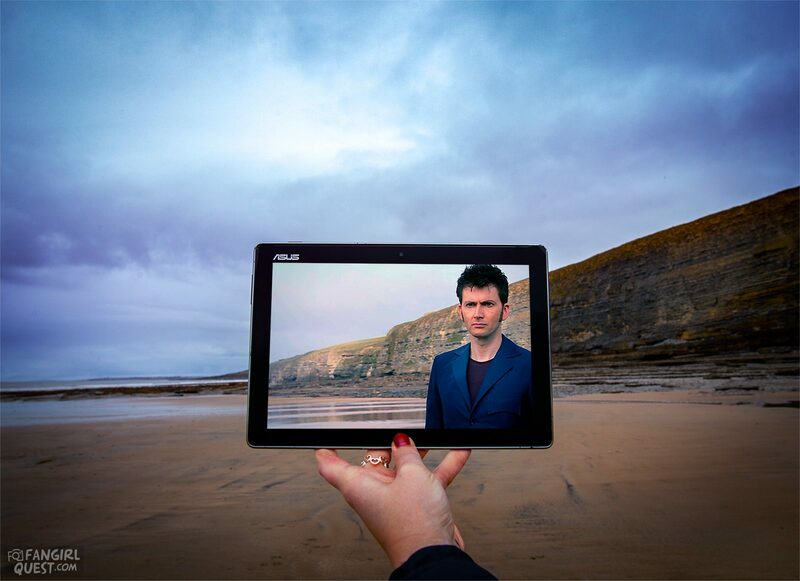 Acted as “Bad Wolf Bay” in Doctor Who. The goodbye scene between Rose and The Doctor was filmed here. Make sure to check the tide times – you’ll be able to walk further on the beach if you go during the low tide. And then be careful not to get trapped in by it! What’s here: A beautiful old castle, gardens and a huge park you can visit. Small entrance fee. 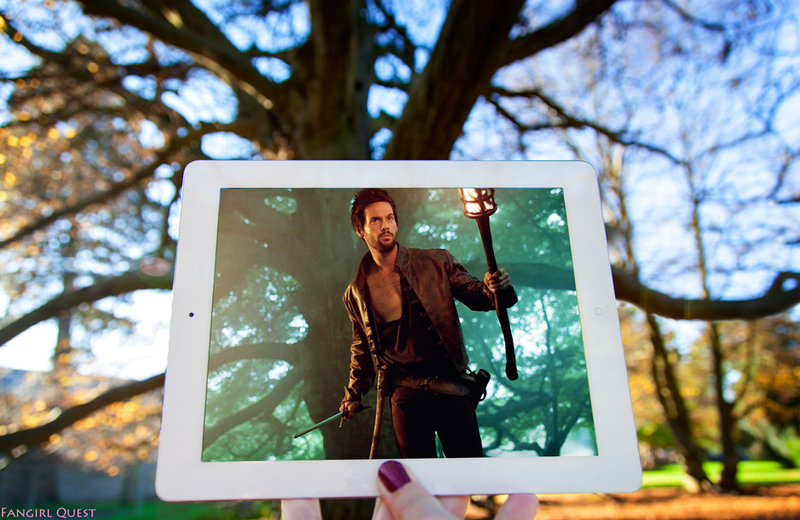 Da Vinci’s Demons made Margan Country Park and Margam Castle look like 15th Century Italy. 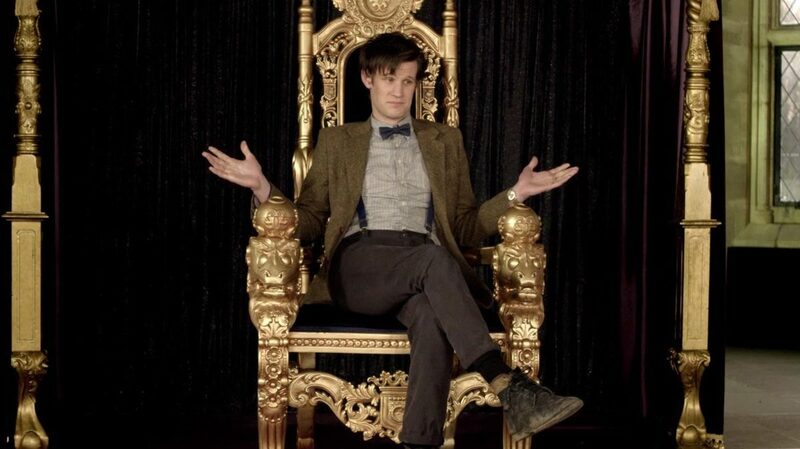 Doctor Who scenes feat. both Matt Smith and David Tennant were filmed here too. What’s here: Another beautiful castle that’s easy to visit and well worth the reasonable drive. 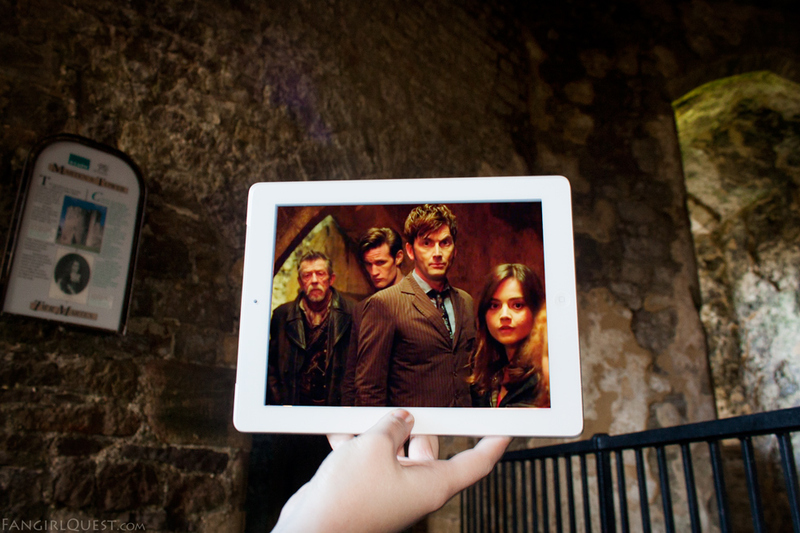 Much of the 50th anniversary special of Doctor Who was filmed on the castle grounds, plus a few scenes for Merlin. 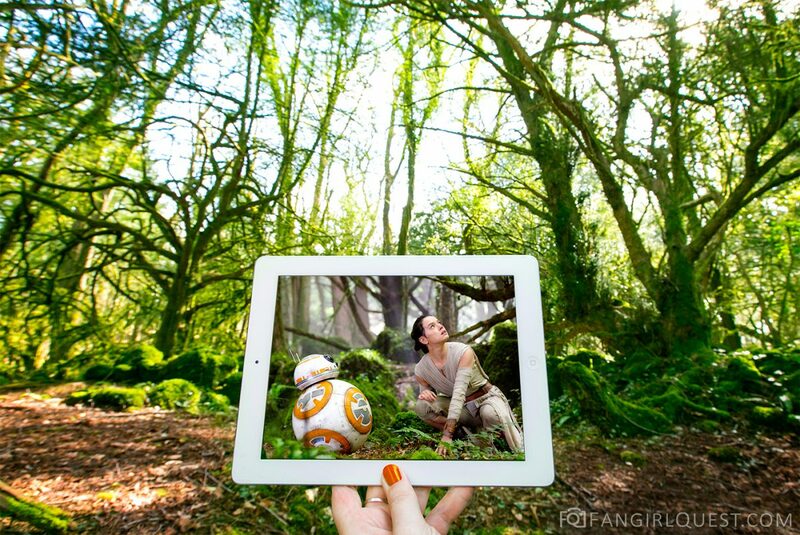 Filming location for: Star Wars: The Force Awakens, Doctor Who, Galavant, Merlin, Atlantis. What’s here: Apart from serving as a filming location to these amazing productions, Puzzlewood also provided inspiration for J.R.R. Tolkien when he was writing Lord of the Rings. A family friendly place to spend a day at. Farm animals, little gift shop, picnic tables and the forest itself provide a safe and exciting environment for all. 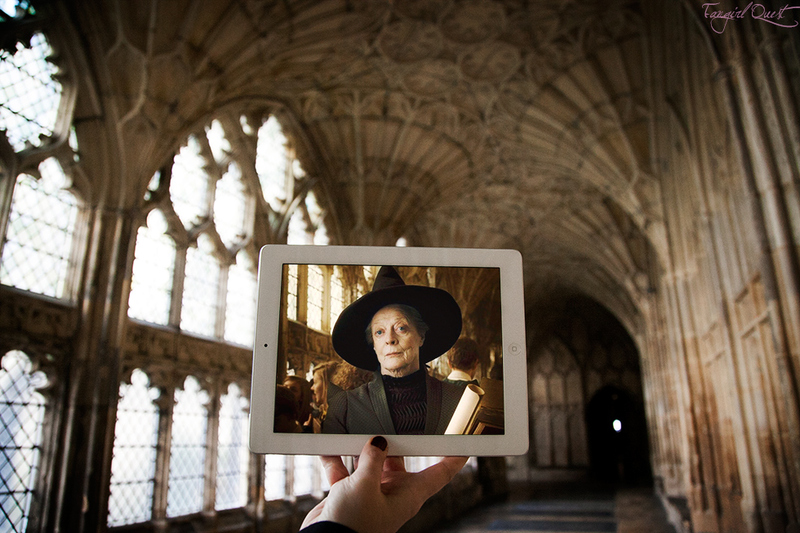 What’s here: This beautiful, massive cathedral in the city of Gloucester has served as a filming location for the Harry Potter movies and the Shakespeare TV adaptation The Hollow Crown starring Tom Hiddleston. 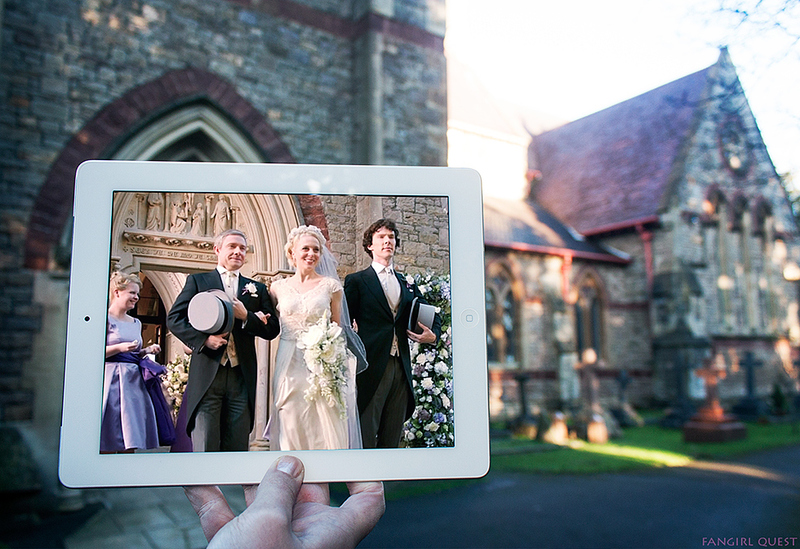 What’s here: John and Mary’s wedding is held here in episode The Sign of Three. While not actually one of the Cardiff filming locations, Bristol is a popular city for the Cardiffians to go do some shopping and partying. Here’s how to use the map: click on any of the colored map markers OR look at the list of locations by opening the menu on the upper left corner of the map by clicking on the little square icon with an arrow.